When twenty nations come together over 43 days it comes down to the pinnacle event for all rugby players and sports fans alike - the final of Rugby World Cup 2019™. 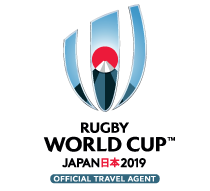 With weekender packages starting from $3,290 including 3 nights accommodation in Tokyo, Category C ticket for bronze final and the final (with the option to upgrade to Category B), it is a weekend not to be missed! Don't miss your chance to be in the stands and witness it live in Japan. Sushi to Samurai, Semis to Final Sojourn & Japanese Jaunt. The 2nd & final test match for 2019 Bledisloe Cup will return to Auckland. This will be the ultimate test match as the teams will be gearing up for their Rugby World Cup campaign in Japan and be showcasing their skills before hitting the world stage. Independent Packages - From $699pp includes reserved match ticket & choice of accommodation. For the first time in Rugby Australia history, Western Australia will host a Bledisole Cup match in 2019 and here is your chance to join us for an unforgettable weekend of rugby action! Never before can you lock in your package this far in advance and with our extremely affordable packages starting from just $379 per person, you can book your seat at the impressive new Optus Stadium and stay in some of Perth's most recognised hotels. With this match taking place in the lead up to Rugby World Cup 2019, it will provide a great opportunity to watch the boys in action on home soil before they head to Japan!